Officers from the Flourtown Fire Company and Wyndmoor Hose Company were invited to attend the Wissahickon Fire Company Firefighter Camp Graduation. Both Flourtown and Wyndmoor had future junior firefighters participate in the camp. Congratulations Guys! From left: Wyndmoor Chief Fran DePaul, Wyndmoor Captain Pete Bistline, Wyndmoor Camper Patrick Dolan, Flourtown Camper Dave Brierly, Flourtown Camper Greg Fasold, Flourtown Lieutenant Chris Manning, Flourtown Assistant Chief Chris Buckley. 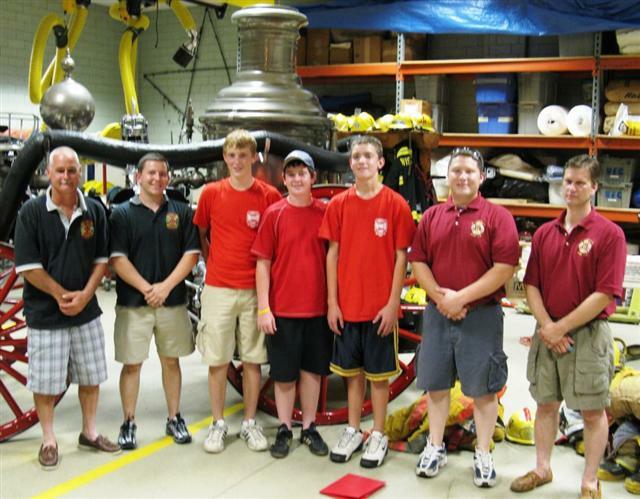 In May 2006, Flourtown Fire Company joined companies and first-responder organizations from throughout Montgomery County in a Mass Casualty Training Exercise at the Springfield Township High and Middle Schools.